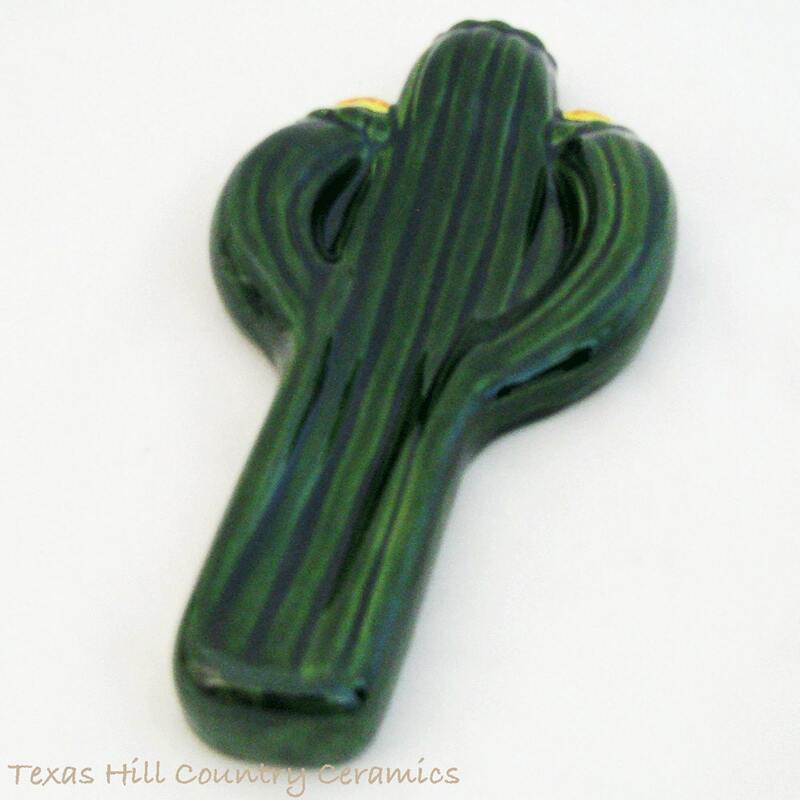 This saguaro cactus spoon rest is made of ceramic earthenware. This southwest Arizona saguaro cacti spoon rest has yellow/orange flower blooms at the top of each arm and main trunk. 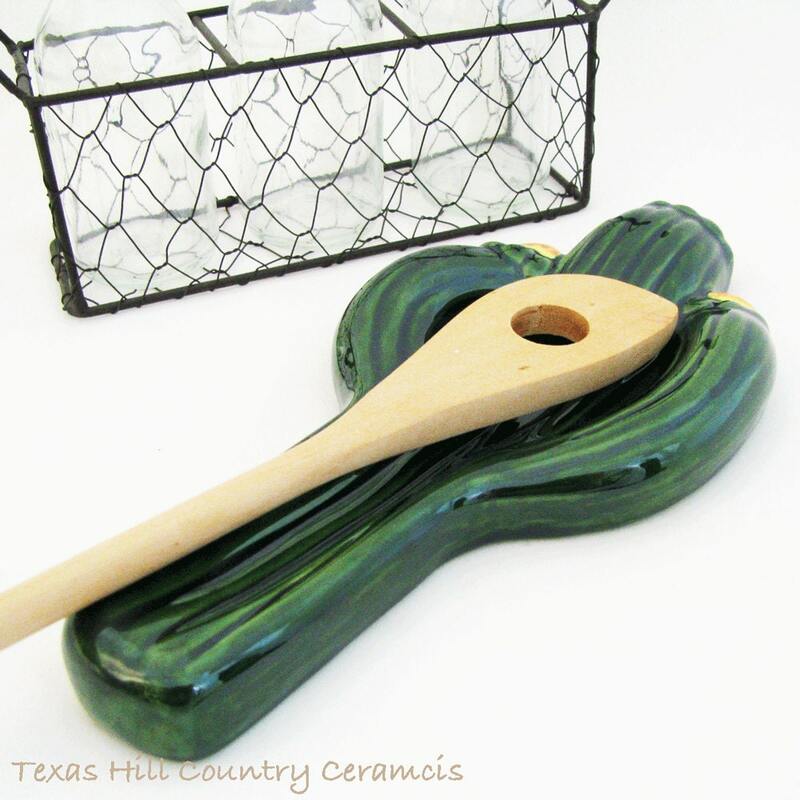 The green saguaro cactus spoon rest is a great way to keep drippy cooking spoons from messing your kitchen counters or cook top stove and add a little of the southwest Arizona desert decor to your home. 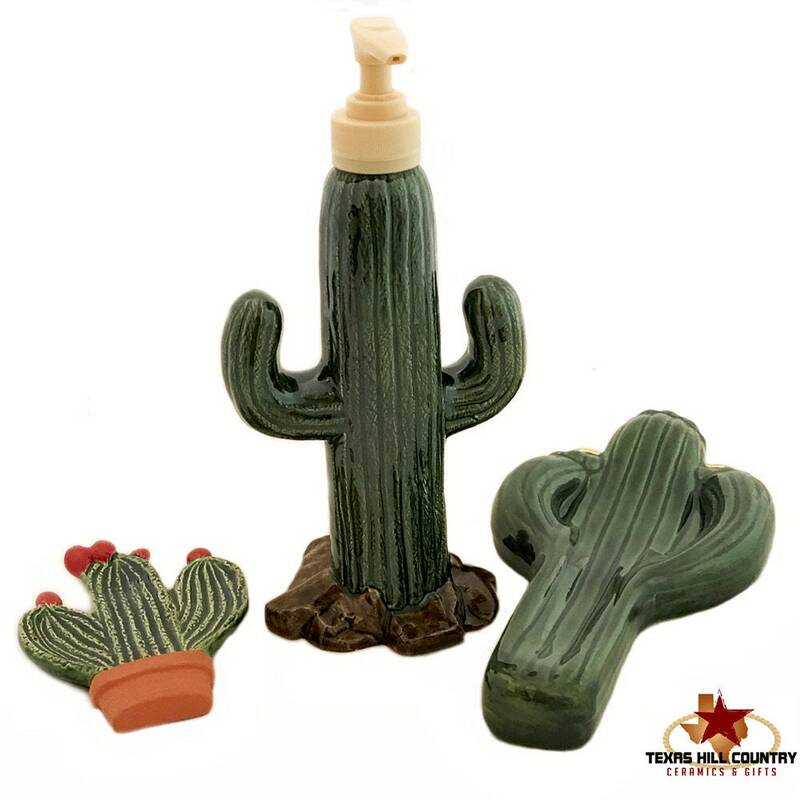 The southwest cactus spoon rest is dishwasher safe and food safe. The spoon rest is finished in lead free glaze, the inside is also glazed which is an extra not found with imported items. Ceramic spoon rests are fun to collect. Spoon rests create cheerful decorative accents for stovetops, kitchen counters or buffet serving sideboards and tables. Not only are spoon rests a great utility piece they can help keep areas neat and clean helping contain drippy stirring spoons and serving utensils. Larger spoon rests can also help you keep other areas neat and tidy, use them to keep change or keys in one spot or to hold daily dog or cat treats, people candy, even hang on the wall. They also make wonderful housewarming gifts so keep some around for that last minute gift you may need. Coordinating items available as shown in the last photo and can be purchased separately. This listing is for 1 cactus spoon rest. The item looks like the photograph, but I find the quality is not as good as I expected for the price. I love saguaros! Item made beautifully. Looks fantastic in my kitchen! Thank you! It's an okay product but quite a bit larger than I expected. Shipped with care and a nice vendor.